July | 2013 | This Analog Earth! Since I was a child I’ve owned and collected View-Master reels. My first collection actually came from my father. It consisted of a black viewer with a mishmash of very beaten reels, including Butchart Gardens, Mickey Mouse and Jack and the Beanstalk. Being an only child, I spent much of my free time in the basement playing by myself. 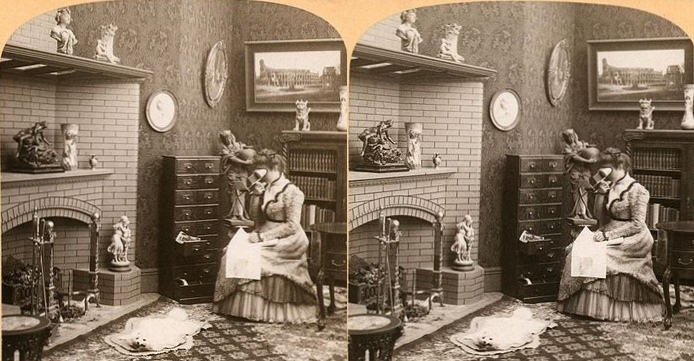 I could spend hours sitting in my little red rocking chair with the stereo viewer suctioned to face. I returned to the viewer after studying film archiving. The older reels had rich colours, enchanting clay sculptures, and reminded me of all the old stories and characters I had grown up with. The origins of the View-Master come from the stereo postcard market of the late 19th and early 20th centuries. A camera, with two lenses 2.5” apart, takes a picture of a scene. The photos from each lens are a little different from each other. This resembles the way our eyes see. 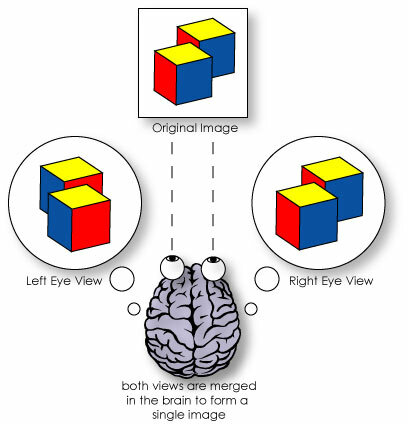 Our brain puts these two pictures together, giving the illusion of depth. 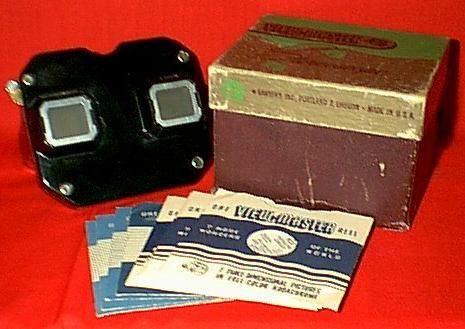 The View-Master, as baby boomers and generation X folks know it, was introduced at the World’s Fair in NYC in 1939. To this day, although the shape and colours of the viewer has changed, the technology remains the same. 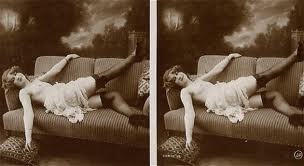 Originally, the stereoscopic cameras used Kodachrome 16mm stock. Kodachrome was a highly rich and intense film stock that had its final demise in 2009. (I’ll be speaking about this amazing product in another post.) If you have any View-Master reels lying around, you’ll notice how gorgeous some of them are, and how morbidly red others are. In 1977 View-Master switched all their film from Kodachrome to another stock (likely GAF as they had bought the company.) Those reels began to fade; the cyan and yellow dies fade faster than the magenta on many types of film. 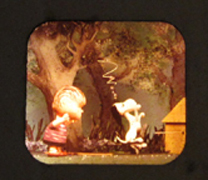 The Peanuts cell is from 1966. The Little Orphan Annie is from 1972. You can see how the Annie cell is mostly red in colour. 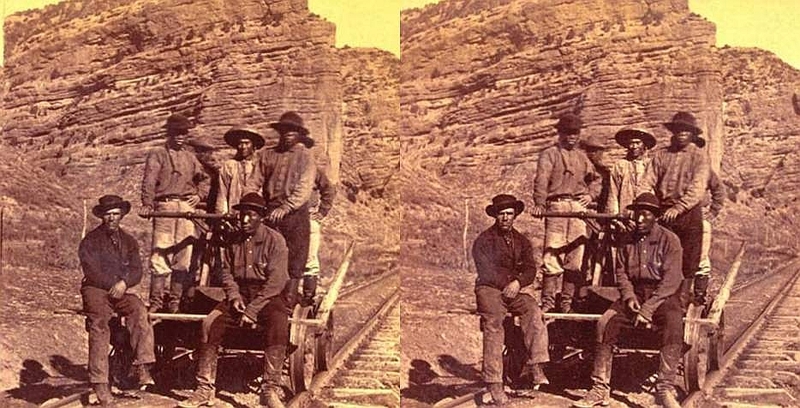 The original stereo images are duplicated, cut and assembled into the punched holes of the round card reels. Each card has 7 transparent scenes with each scene having left eye and right eye views. Short descriptions of the scenes are printed on the card and these are read at the top or the middle of the viewer. The knob on the top right of the viewer is pulled down to move the card to the next window. 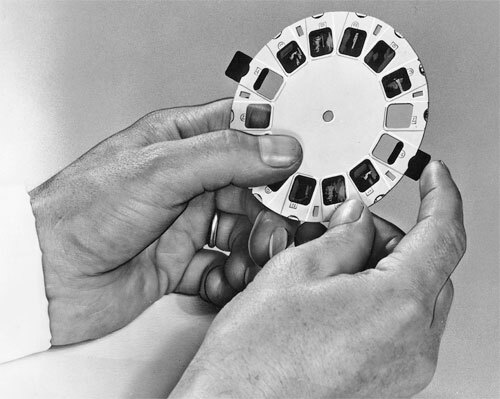 The first View-Master reels were of special scenic spots like Piccadilly Circus, the Redwoods, Carlsbad Caverns, Lake Louise, Historic Charleston. Eventually they found that children enjoyed the viewers more than adults and the productions were catered to them. 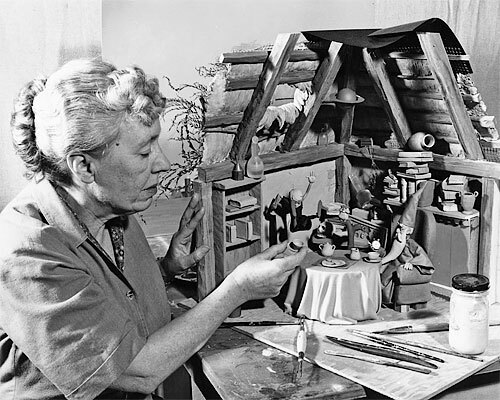 Often, familiar stories were produced with wonderfully created clay sculptures. 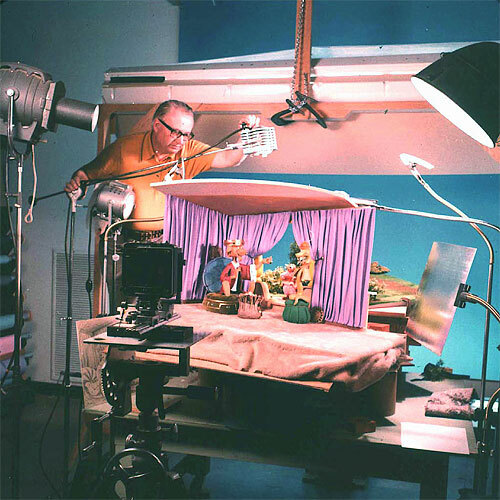 Snow White, Peanuts comics, Donald Duck stories, and Flintstones characters came alive with the combination of brilliant colour, 3D sculptures, transparent film cells and stereoscopic viewer. It does seem like the business men did try different marketing techniques to lure adults; a clue is featured below. It’s not surprising this idea didn’t get very far. It’s pretty humorous to think of grown men hiding View-Master reels under their bed! 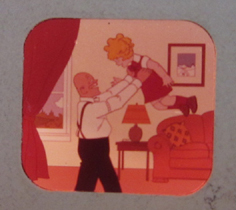 Up until 2001 View-Master viewers and reels were being produced in the US. Unfortunately, due to cost cutting measures and an environmental disaster, the plant in Beaverton, Oregon, just outside of Portland, was closed. Approximately 18,000 factory workers were exposed to trichloroethylene tainted well water. Trich, up until recently, was use to clean film. It is a known carcinogen. Recently, View-Masters have made a resurgence in the DIY art world. I was lucky to have experienced one of Vladimir’s performances in Portland. She writes stories, or adapts novels, shoots scenes and packages the reels all by hand. Each patron is given a viewer and set of cards, and soundtrack is played along. View-Masters are still being produced through Fisher-Price and are in the National Toy Hall of Fame. 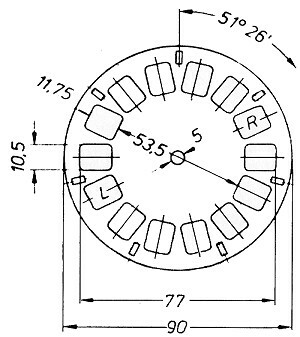 On Wikipedia it says that in 2009 DreamWorks SKG (Stephen Spielberg’s company) was negotiating the rights to “develop View-Master into a feature film”. 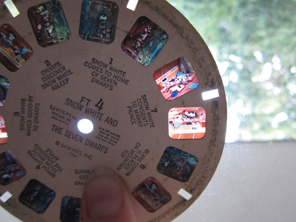 View-Master lovers are scratching their head over that one! I understand both lines of thought but I believe there is a happy medium. While I struggle with society’s idea that owning a smartphone is necessary (I don’t believe it is), I also very much embrace my laptop and compressor ice cream maker. Nostalgia can be looking back into the past with blinders. It’s easy to see, say, exotic postcards from the south seas in the 50s and forget about commercial colonization and racism. But I believe there is beauty in old things and ephemera will always hold a dear place in my heart. Worn records, a dress from the 1930s, perfectly preserved can labels of a product that hasn’t seen the shelves in 60 years – these are all things that make me smile and trigger the creative side of my brain. Old technology can still have a purpose in our modern world. Even as I pop a USB drive into my parent’s huge television and show them my latest travel pictures, I will take some super 8 footage of the local carnival and know in all likelihood the super 8 film will probably survive past the jpegs. Why? Because film has proven itself to be a long-lasting medium; it will survive over 100 years in a box in your closet. Remember your first word processing software? Try reading those files now… I bet it’s impossible! And let’s not forget: whatever is here today will be gone tomorrow. Technology that we currently embrace will be replaced in a year or a decade. 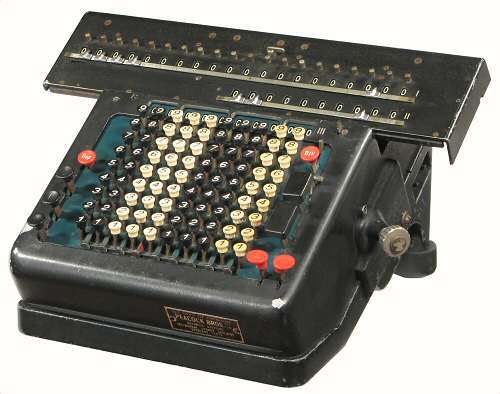 Even this most technologically with-it person may find themselves missing the subtle differences of “the previous version” or even waxing nostalgic about an obsolete model. So let’s let ourselves find beauty, comfort and amusement in art and technology that might not be up-to-date or modern. They are the basis of things we hold dear this year, and they could be the basis of things not yet invented. This Analog Earth on Pinterest!